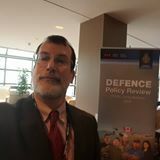 I got the chance to participate in the Defence Review via a roundtable in Montreal. Since I pooped all over the project when it was first announced, I have to say that I am both impressed and thankful that the Minister of Defence and his staff invited me to join the process. That was mighty big of them. The meeting was governed by Chatham House Rule, which means I cannot attribute stuff to anyone. So, I will apply Saideman House Rule–I will describe the event and then say what I said. It is easy to understand why Canadian political leaders tend to focus on Europe rather than Asia/Pacific. Because of the various institutions in Europe, especially the North Atlantic Treaty Organization, we know how Canada fits in. We know what Canada’s role is in Europe, but we have a hard time imagining how Canada can make a difference in the vast waters of the Pacific and among the huge populations of Asia. The answer, to preview, is for Canada to do what it does best. I recently spent a week in Japan, on a trip organized and paid for by that country’s Ministry of Foreign Affairs, so you can take what I say with a grain of salt. However, what I suggest below can advance Canadian interests, be true to Canadian values and not blow out the budget. There are two clear realities: That Canada cannot make much of a difference in any military kind of way; and North Korea is someone else’s problem. The Canadian Navy is simply too small and currently too stressed to do much. Same goes for the Air Force. North Korea is the most immediate threat with its nuclear-weapons development, missile tests and awful regime, but Canada will have to rely on others to address North Korea. Canada simply lacks the tools to influence North Korea or provide security for the neighbourhood. So, we need to focus on what Canada can do as the region faces the growing pains of China.